A fascinating new study looked at the effect of sexual identity changes among a longitudinal sample of women. First, they found approximately 25% of the sample changed their sexual identity every 5-6 years. Second, if you changed towards being lesbian/bi, your depressive symptoms went up. 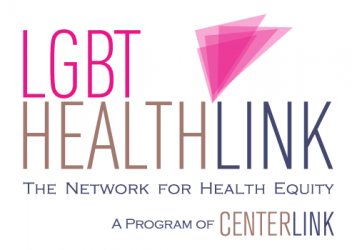 A small study of transgender Latina women found that legal documentation to live in the U.S. was critical to the experience of their gender identity, access to health services and power dynamics within relationships. Moreover, the women who had legal status had better access to health services, less risky employment and more control over sexual relationships. A new review article this week looks at the benefits of using online research for “silenced and invisible voices” such as LGBTQ youth and other hard-to-reach populations. As they note, while 92% of all youth are online daily, LGBTQ youth are even more digitally active and the anonymity is particularly valuable to our youth. A study of Craigslist’s Men Seeking Men ads in 11 cities with high HIV prevalence found that the most explicitly-stated bias was for men who were “disease and drug free” (DDF), “clean” or “healthy,” which was asked in 24.55% of ads. No other bias (including regarding weight or physical appearance) came close, highlighting the strength of HIV-related stigma in Craigslist postings. President Obama highlighted LGBT health in declaring June to be Lesbian, Gay, Bisexual, and Transgender Pride Month. He particularly noted the administration’s commitment to lowering the rate of HIV, improving health access and outcomes for LGBT people, and banning conversion therapy. Previous Post Full Report on Our Full Month – What about you?